BMW and MINI franchise operator Halliwell Jones is extending a relationship with Live Customer Engagement company Vee24 to offer its online concierge service to customers during the evenings. Halliwell Jones currently offers online customer service during dealership opening hours and the new service will ensure that online customers can be assisted at times to suit them rather than only during regular opening hours. Starting January 2018, customers will have the opportunity to talk to an online customer service agent until 10pm every day. 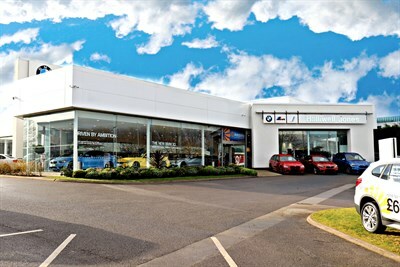 Halliwell Jones prides itself on providing customers with an outstanding service whether face-to-face in the dealership or online and has offered live chat from the website for a number of years. Customers conducting car research online are able to talk directly to a customer service agent and can ask questions using voice, text or video chat. Daytime customer service is managed by Halliwell Jones and the extended opening hours will be managed by the Vee24 PACE team. This team has been trained to fully discuss a customer’s requirements and pass this information with test drive requests to the Halliwell Jones Loyalty Team. Pre-qualifying the customer means that the dealership is well-informed about a customer’s preferences before engaging with the customer for the sale.